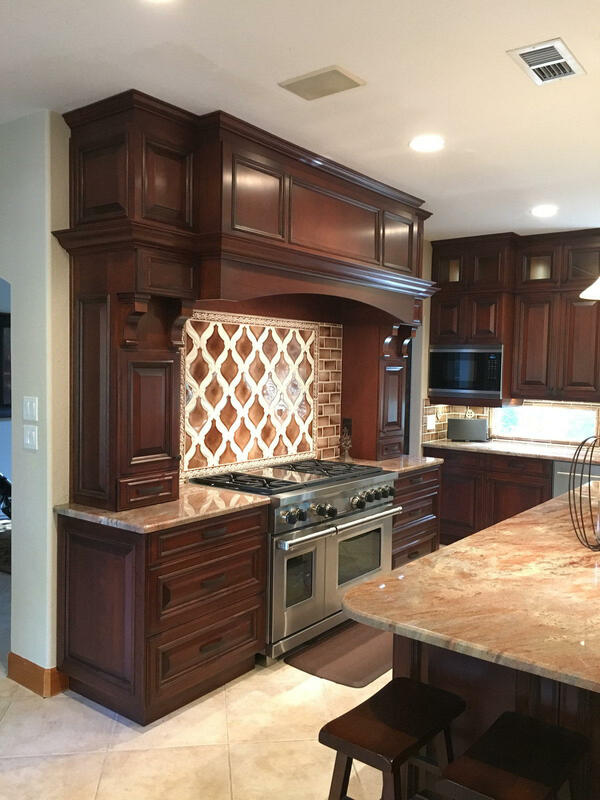 Custom kitchen cabinets and Custom Hood Designed by Scott Haig, CKD of Bay Area Kitchens. 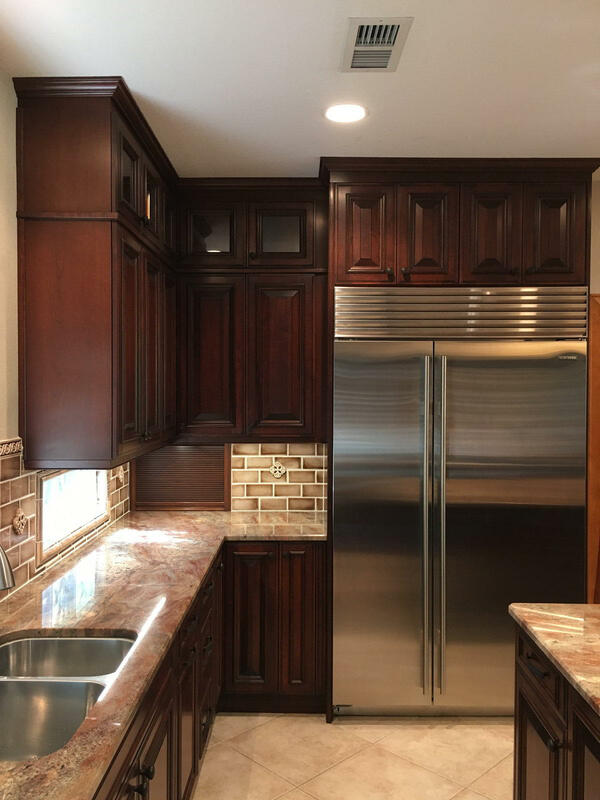 Custom cherry wood cabinets are Wood-Mode “Barcelona” door style with our “Esquire” finish on cherry, and feature heavy styling and intricate moldings. Hood was custom built by Wood-Mode, and has a Vent-A-Hood stainless steel liner. 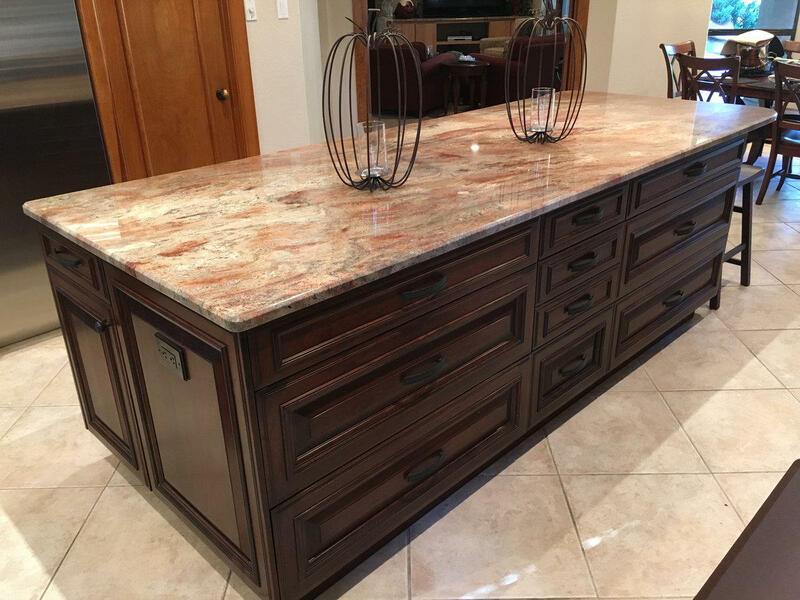 Countertops are Crema Bordeaux 3cm. 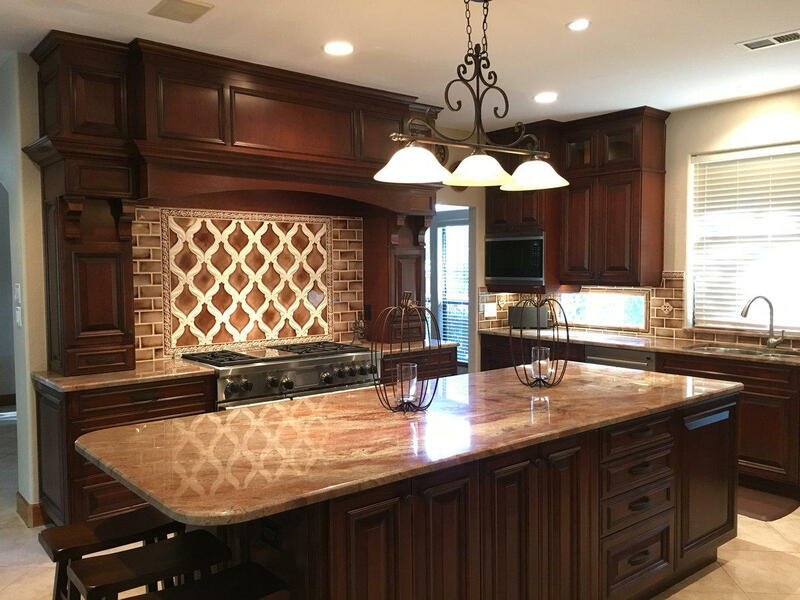 Backsplash tile from Architectural Design Resources (ADR) in Houston. 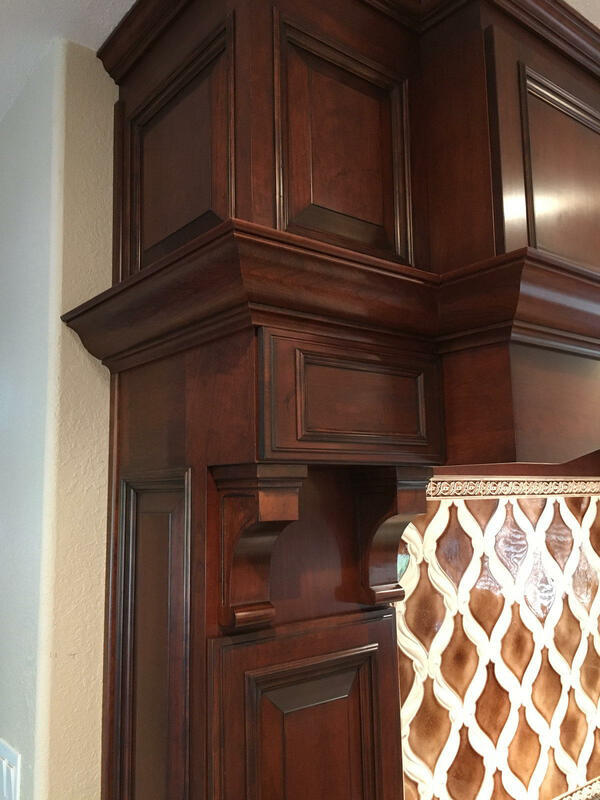 Heavy, intricate detailing on this custom cherry hood include massive moldings, accent panels and corbels. The face of the hood is hinged and opens for access and servicing of the Vent-A-Hood liner and blower system. Dark cherry custom cabinetry by Wood-Mode, with glass upper doors and lighted interiors. Built-in SS refrigerator.